The 1938 high school graduation class in Kamennyy Brod. Berta Chernomorskaya is n the 3rd row 4th from the left. The story of Dr. Berta Solonomovna Chernomorska's biography and visit to the Kamennyy Brod memorial. 7 page PDF LINK with story and photos. Excerpt below. Dr. Berta Solomonovna Chernomorskaya visited the Kamenny Brod memorial with her son Grigory. Several relatives have their names are inscribed on the memorial. 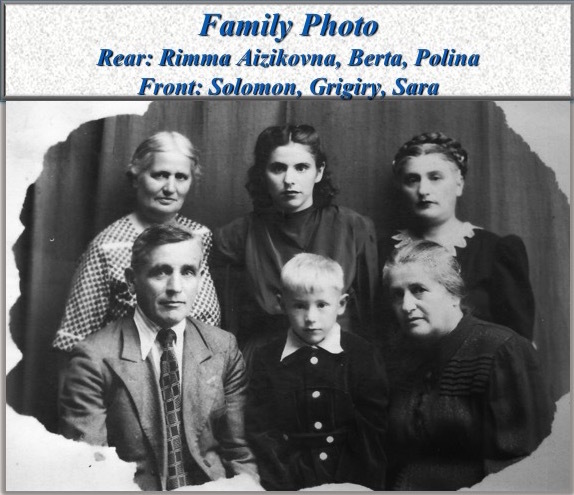 Berta's father was Solomon Chernomorsky and her mother was Sara Zinovyevna Oksengorn. Her maternal grandfather was Zindel Shmulivich Oksengorn who died in 1916 in Kamenny Brod. 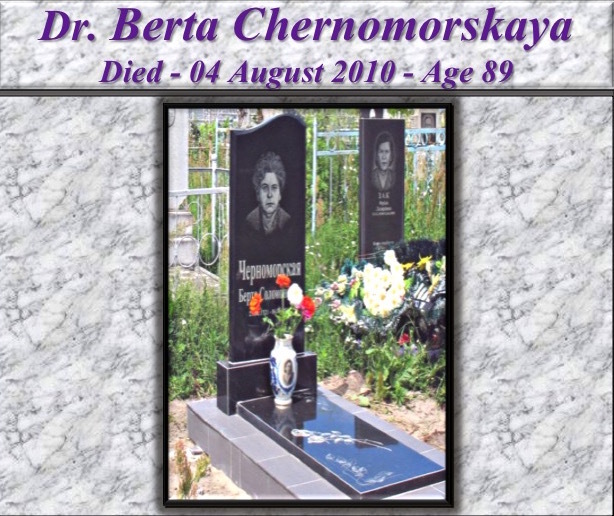 Berta was born in Kamenny Brod 21 June 1921 and died 4 August 2010 in Pollonne, Ukraine, where she lived after WW II and served as a surgeon in the local hospital until her retirement. 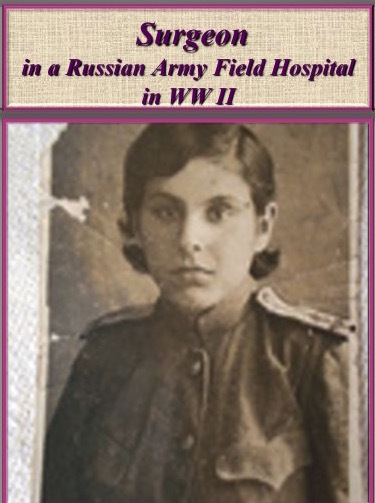 After graduating from medical school, Berta was inducted into the Russian army in WW II, and served as a surgeon in an army field hospital. Kamenny Brod has unsettling memories for Berta as three relative were killed in the 1919 pogrom and 6 family members were shot by the German army in 1941. They are buried in a mass grave where the memorial now stands. This was Berta's last trip before her death in 2010. Berta posted Pages of Testimony for family members murdered by the SS in Kamennyy Brod. This one of her Page Of Testimony submissions in her hand writing. She had an amazing life story.